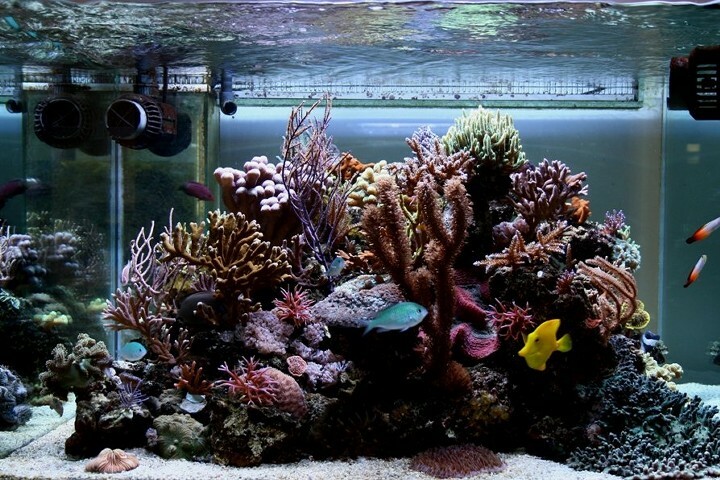 Here some examples, photos, informations for aquariums less than 1 meter long. 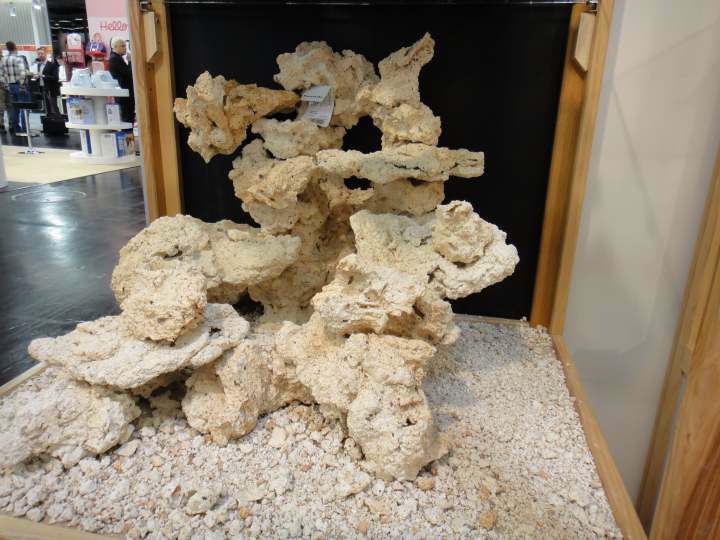 These 4 different decors for aquariums 60 x 50 x h 50 cm, such as Red sea 130 or Elos aquariums, or many others, have been exhibited at Interzoo in 2012. 2 central decors and 2 leaning on the rear panel. Setting up: put 3 stable rocks on the glas, then put the plate on these 3 rocks and build the decor on the plate. A few rocks as foreground, on the sand. 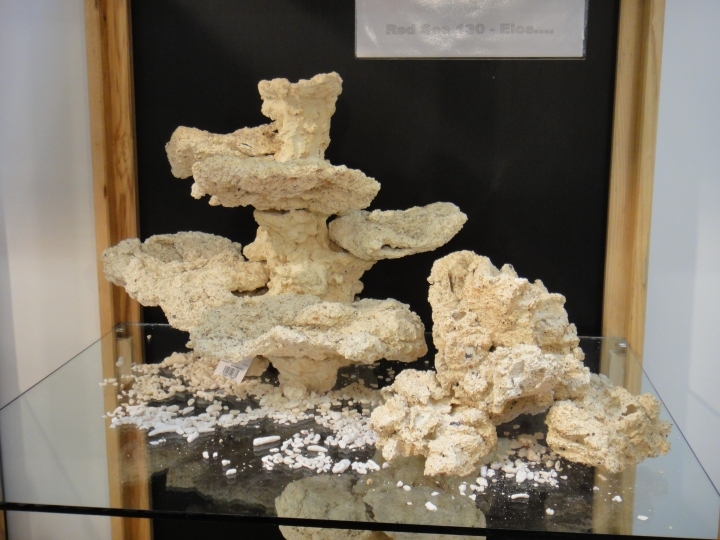 This decor is made of a pillar, height 38 cm, code 0838, + 5 eco reef plates. + 2 or 3 ceramic rocks as foreground on the sand. 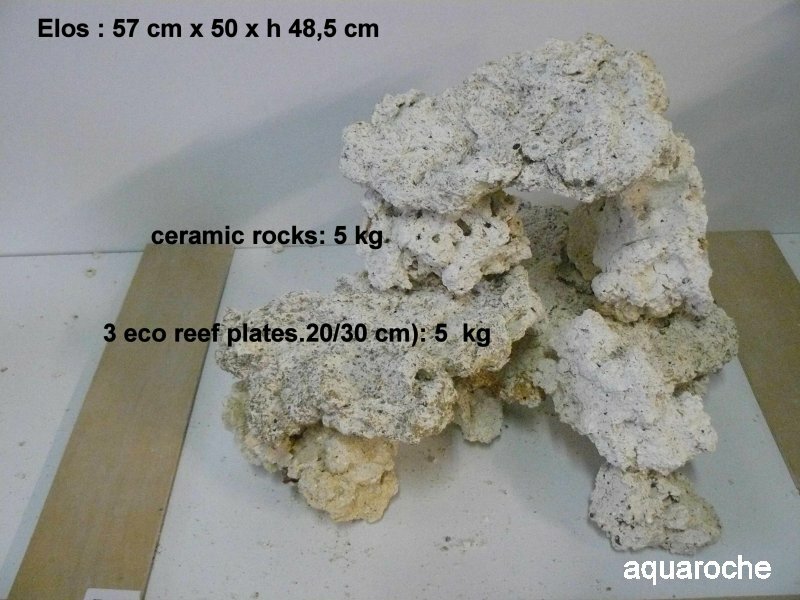 This rock (code 9526)is flat on the back and covers partly the back of the aquarium; it has steps at different levels for eco reef plates and live rocks . A small rock (code 9004) is used as foreground. 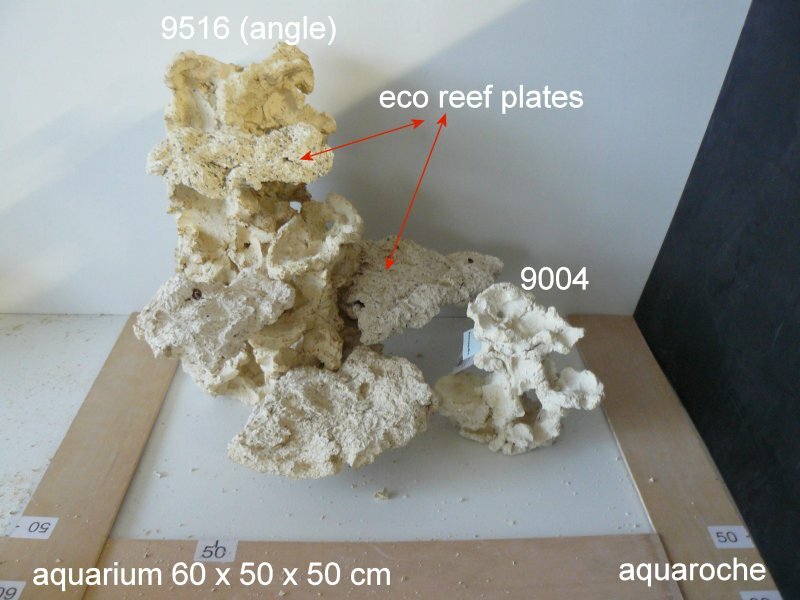 This rock (code 0945)is flat on the back and covers partly the back of the aquarium; it has steps at different levels for eco reef plates and live rocks ..
2 or 3 ceramic rocks as foreground on the sand. 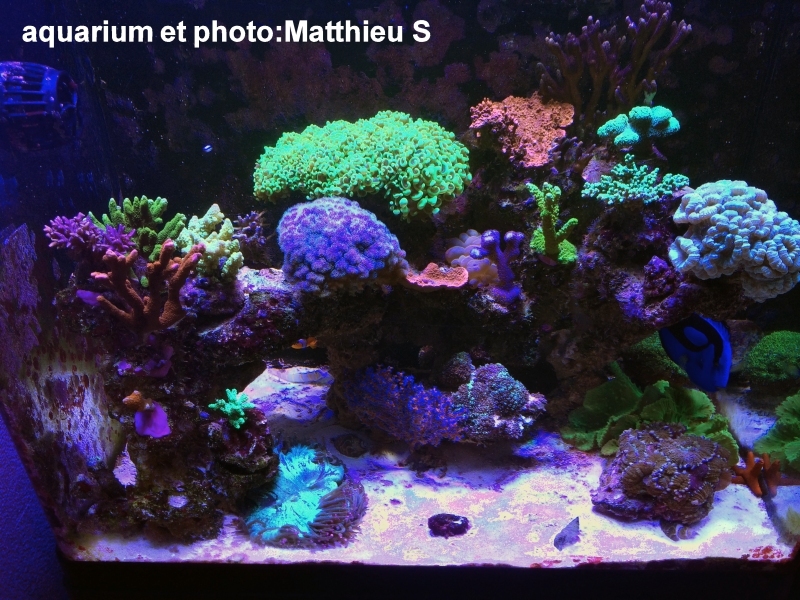 Décor Red Sea Max 130 litres. 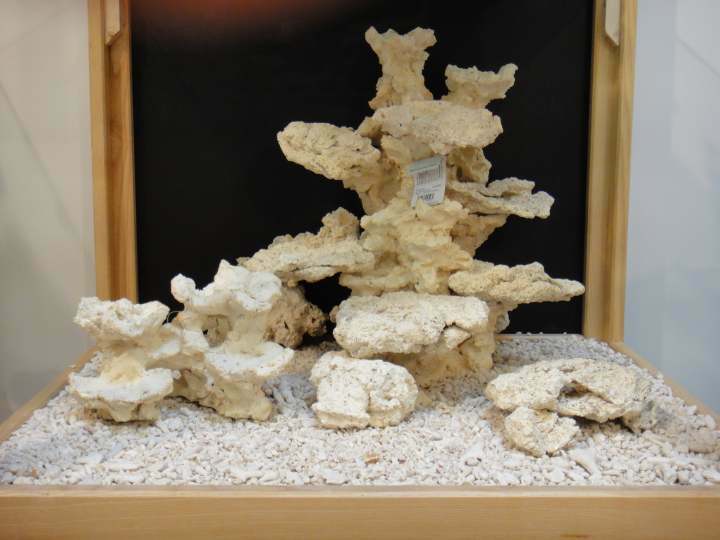 Decor with rock 0945 and eco reef plates. Je vous contacte afin de vous faire un retour d’expérience suite à l’implantation de roches dans un bac type RSM 130 première génération. 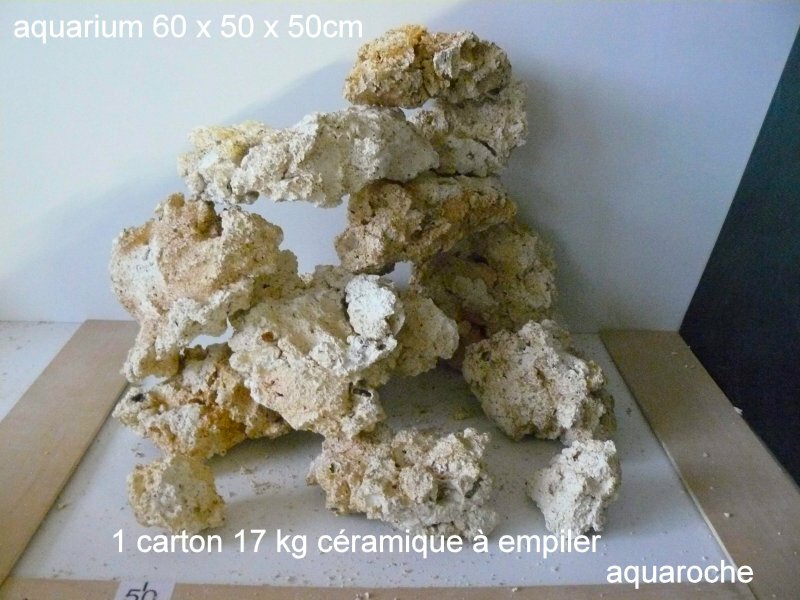 Les roches ont été implantées sèches avec d’autres pierres vivantes dans un premier temps. Puis les PVS ont été enlevées. Aujourd’hui le résultat est top et je tenais à vous le partager. 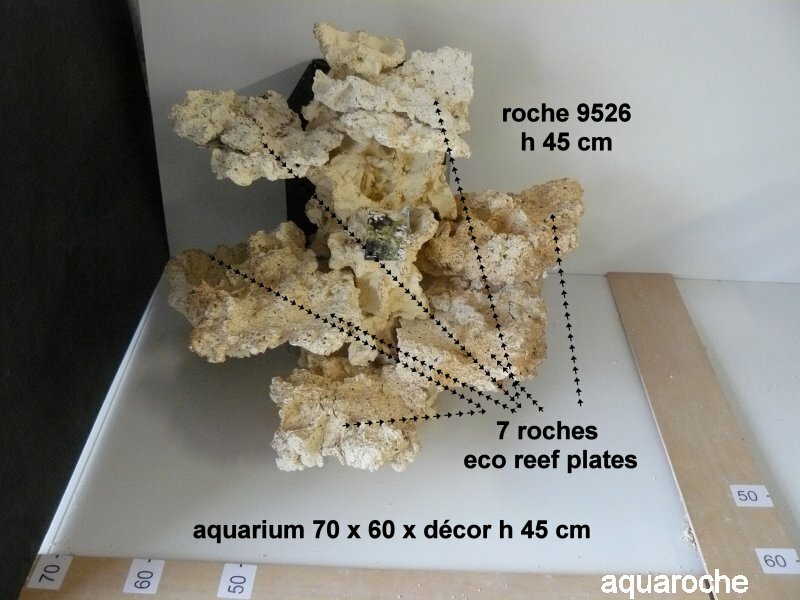 Les roches sont les suivantes : une base récifale 9306 en pièce maitresse et une 9004 ainsi qu’un eco reef plate et une PVS qui se prêtait bien au titre d’eco reef plates. 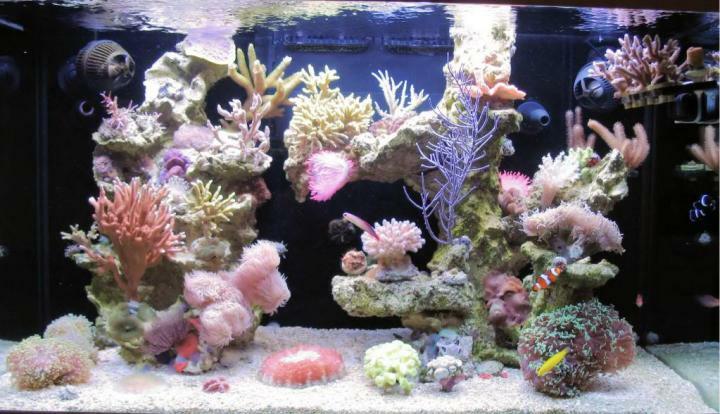 Decor for Red Sea Max 250. Decor made by AF. 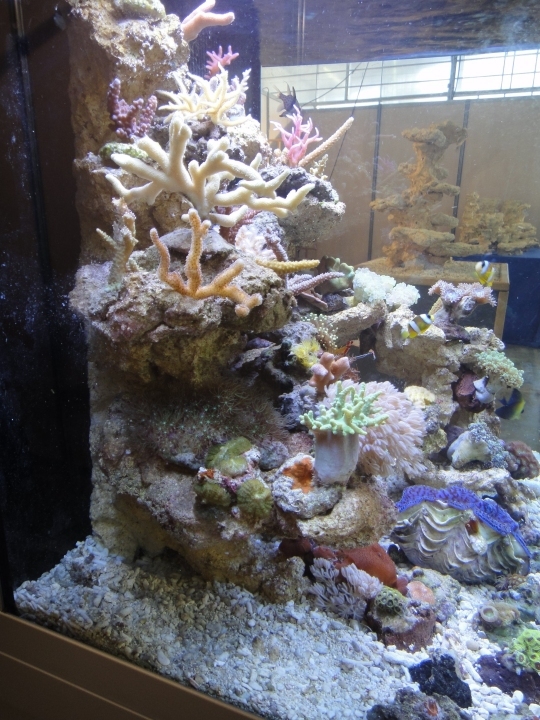 Visit Reef Sanctuary with the different stages of this aquarium. 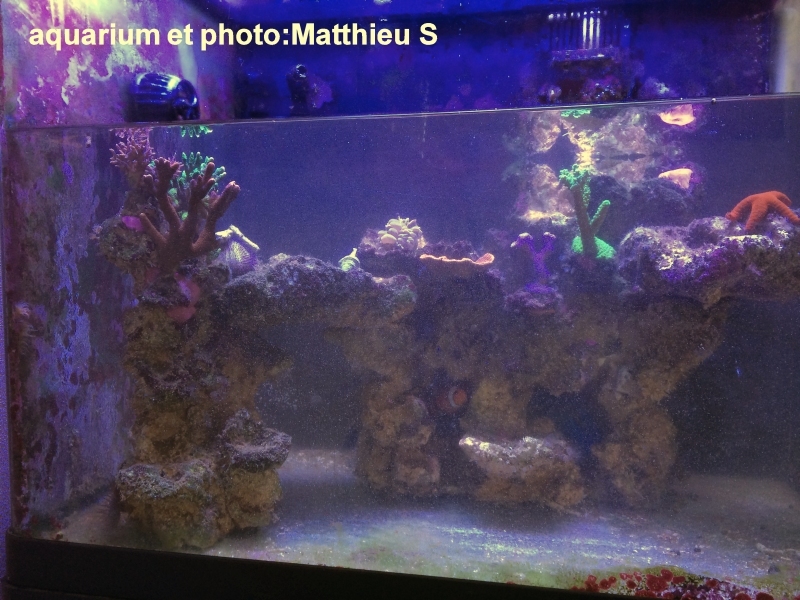 Decor with rock 9526 on the left and pillar 0848 on the right + eco reef plates rocks. 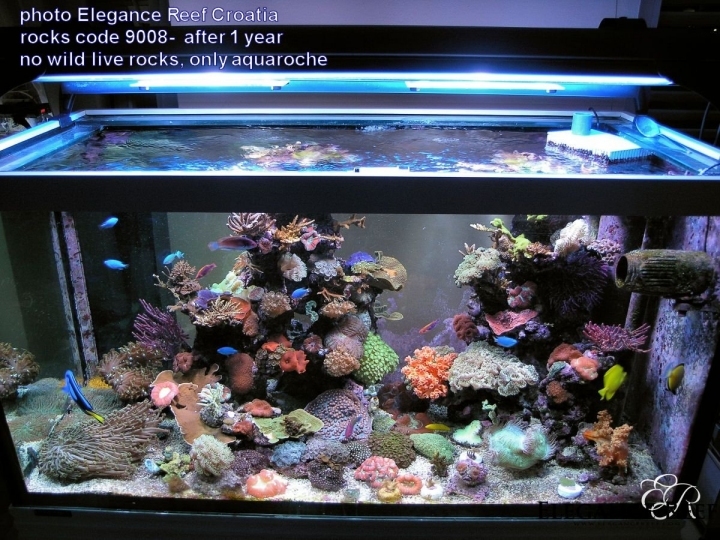 Example of reef aquarium with 2 rocks 9008 (height 60 cm), by Elegance Reef, our partner in Croatia. 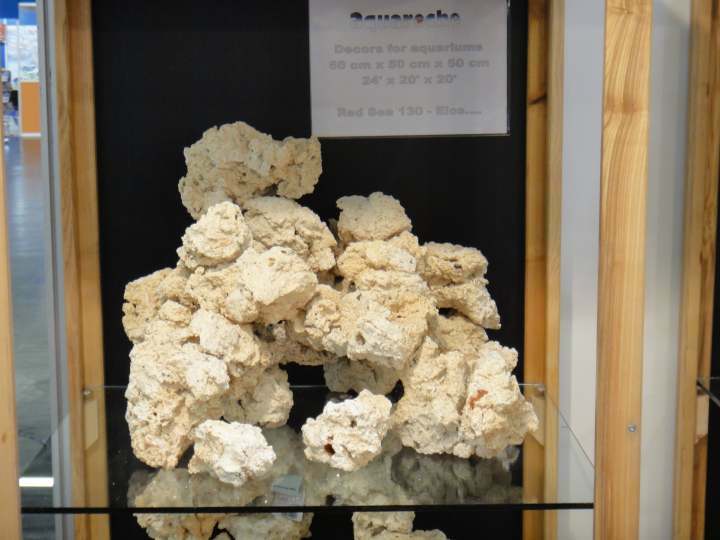 Decor made with a large part of ceramic rocks. 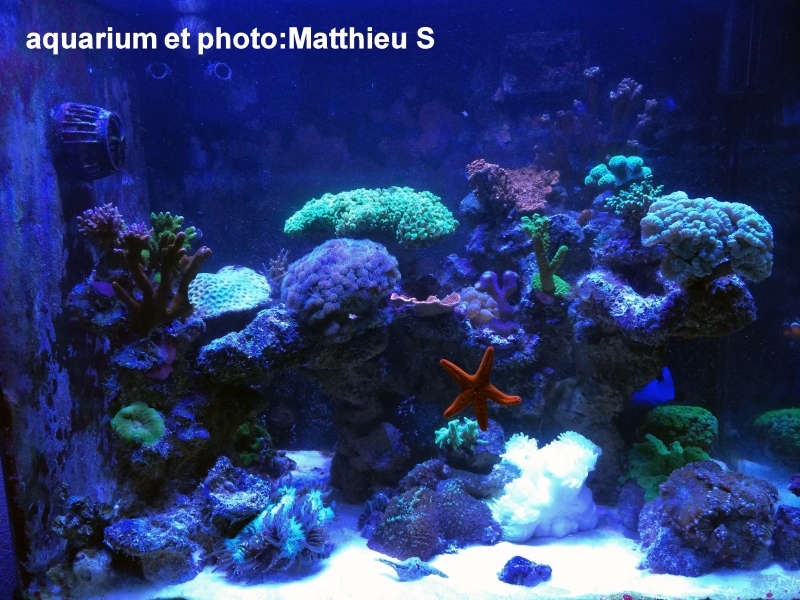 Aquarium, photo and decor by Sylvain from Aquasyl.